UPDATE: Since posting this preview yesterday, news has emerged that Red Bull’s Sebastian Vettel is considering missing all Qualifying sessions this weekend. This is due to the fact that he will have to break the rules and use a power unit component outside of his allowed 5 allocations for the season, which will incur penalties regardless of where he qualifies. So in order to keep mileage low on his car running a penalty-ridden 6th power unit, (which encompasses the engine, the turbo, and the electronic recovery systems) he has publicly said that he will miss qualifying and start from the pit lane regardless. This raises the question of the show for the fans. Anyone attending on Saturday will not only have to deal with 18 cars being there, but the current World Champion, in the fastest session of the weekend, will not compete. It is understandable that from a competitive point of view, Sebastian must keep his car fresh for the final 3 races, but the fans frustratingly will miss out on the action. Especially if we get to Abu Dhabi, without Caterham and/or Marussia and there are many other cars that want to save their mileage for the last push of double points in the final race. Again, it is understandable from a competition standpoint, but who is going to want to watch any session where no one wants to run, or even push hard? This is the danger that F1 seems to shrug off time and time again. Fans are what make the sport as successful as it is, and to put into place – and then stand by – a set of rules that ends up ultimately pushing people away, not wanting to spend money on the tickets, then the sport itself will suffer. Read my previous piece on “What if F1 had a breakaway Formula?” in order to see what may end up happening if the relevant authorities continue to push for more stringent rules. Not since Monaco in 2005 have there been only 18 cars line up on the grid. BAR were serving a two race ban following a breach of the rules on fuel tanks. There has only been one instance since then where fewer than 18 cars started a race, and that was also in 2005; and it was in the United States, at Indianapolis. An argument over the safety of Michelin tyres meant that in protest, every car on Michelin tyres completed the parade lap and then pulled into the pits and retired. This left only cars that ran on Bridgestone tyres to compete in the race, of which there were only 6. Ferrari, Jordan and Minardi. How things have changed. All tyres are Pirelli these days and Jordan evolved into the team we know now as Force India, as Minardi became Toro Rosso. The lack of competitors that will take part in this weekend’s Grand Prix at the Circuit of the Americas in Austin, TX has very little to do with tyres, but more to do with the evolution and sustainability of teams. Caterham and Marussia have been at the rear of the grid since they made their debuts as Lotus (asked to change when the current ‘Lotus’ team came into effect) and Virgin respectively way back in 2010. Marussia scored the first points in either team’s history this year, when Bianchi scored 2 points with a 9th placed finish in Monaco. But his accident in Japan started a cycle which has culminated in a huge dark cloud of uncertainty over their future being hung over their heads. Marussia themselves have been rather quiet on why they have asked – and been subsequently allowed – to miss out the United States Grand Prix this weekend. Caterham on the other hand have been quite biting in their criticism of former owner Tony Fernandes, whose public retort was to say that he hadn’t been paid for the team he sold in July. Bernie Ecclestone has given Caterham special dispensation to keep their racing licence whilst in administration, provided they return for the season closer in Abu Dhabi. Hopefully with a new owner; although with debts surmounting £20 million, it will be a brave move to take on a team that has not been competitive, ever. Positive news reports on Saturday morning claimed that 10 to 15 seriously interested parties had registered their interest in acquiring the team. 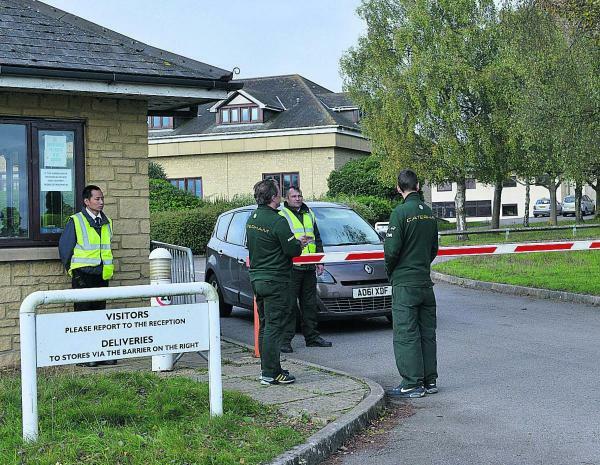 Which is good news, considering that 48 hours previously staff at Caterham’s base in Leafield, Oxfordshire found that they were locked out and weren’t going to be going to work. 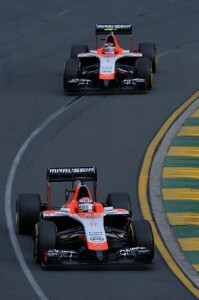 Marussia’s situation had been a little more hushed, although that changed earlier this week when Forbes reported on Monday that they were ‘heading toward administration’, also unable to pay their debts on their current financial plan. This was later confirmed by the administrators. It’s a situation that must have been brewing for some time, way before the incident in Suzuka. It is a shame that two of the teams that have been struggling look as though they may fold. Teams have been rescued in the past, but for two to go at the same time it seems highly unlikely that both would be rescued. I suggested on twitter earlier this week that perhaps they could create one team by forcing a merger deal through? I can certainly see Ecclestone trying to convince both sides to do this. The other two teams that have been public with their financial struggles are Sauber and Lotus. Lotus’ owners, Genii Capital have confirmed that they will be on the grid in 2015, with the Mercedes power unit replacing the troublesome Renault engine that has dogged their 2014 season. It is the end of a twenty year partnership between Renault, and the team based at Enstone, who previously were Renault’s works team, and were Benetton Renault when Michael Schumacher won only his second title in 1995. Monisha Kaltenborn has stated in the past at team principals’ press conferences that Sauber are tight for cash, but not to the point where they have to worry. It seems that this year will yield little in the way of prize money for either of the four teams mentioned, so financial backing may start deciding which drivers come and go in 2015. It isn’t a problem that only affects the poorer performing teams either – Mclaren have been without a sponsor this year, and it’s rumoured to have cost them almost $100 million. (USD) Without a title sponsor for 2015, Honda’s return might prove less than triumphant. The positive news though is that they could revert to the famous red and white livery made famous from the 70’s through to the mid 90’s, unless they find a company willing to pay millions to have their name emblazoned across the car. Ferrari have spoken about cost-cutting measures too, although it is difficult to see the scarlet red Italians run into problems without hearing something from them, blaming someone, for something. These fiscal issues will be discussed at length this weekend, but could the grid dropping to 18 cars from 9 teams trigger the controversial 3-car rule that has been mentioned in the past? Fernando Alonso, for one, will be hoping for it so that he can get his Mercedes move without unseating anyone already in the team. The driver market is heating up quite nicely, with some teams still quite tight lipped on who will/won’t be with them next year. Have they all seen this coming? Do some teams have a contingency ready waiting for the 3 car rule to be triggered? Mclaren’s Eric Boullier has already stated that the team would need 6 months notice – at least – before they did it, so it proves that he’s had to actually sit and think about it. 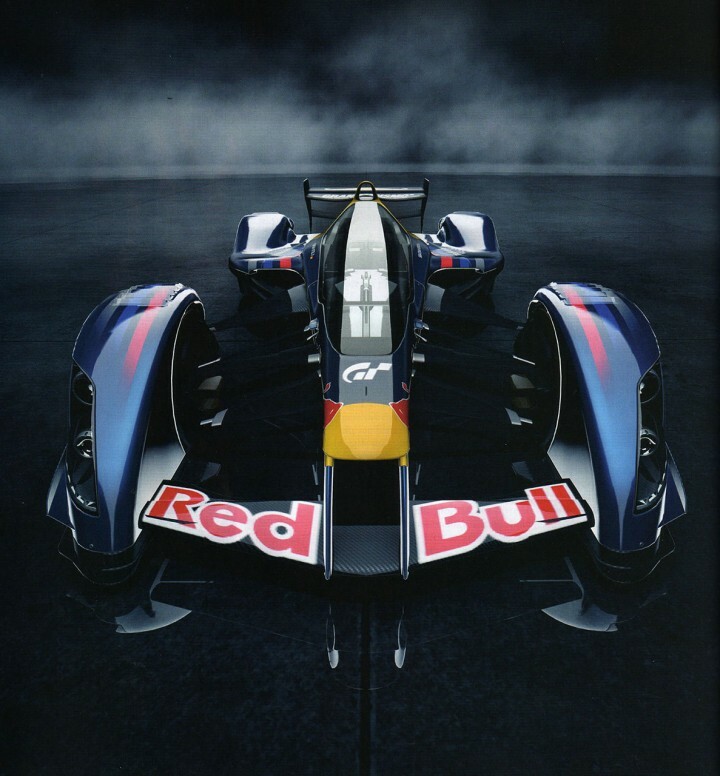 The greater opinion however, is that three car teams would put greater strain on teams’ money reserves. For all the off-track shenanigans that inevitably surround Formula One, you can’t get away from the business on the track. This will be the third Grand Prix to be held at this circuit in Texas, with many turns and a rather long lap in comparison to other circuits. From the unique uphill left hander of turn 1 through a copy of the Maggots/Becketts section of Silverstone, a section traced from the stadium section of Hockenheim, a mirror image of the sweeping turn 8 at the Turkish GP track in Istanbul; encompassing 20 turns in all, it is a recipe for a great Grand Prix. It remains rather warm in Texas even at this time of year, 20 degrees plus can be expected during the day. Lewis Hamilton won the inaugural race in 2012, passing Sebastian Vettel sublimely on the back straight. Seb did get his own taste of glory here though, winning in 2013 to break the record for consecutive wins in a single season. Their motives for winning here this time around are entirely different. The Red Bull driver is out of the running for the title this year, but is also moving on from the team at the end of the year and would love one more moment of glory over the radio with Rocky before he departs for pastures anew. Lewis’ thirst for a win here is due to his chase for a second World Championship. He has seen great fortune come his way over the last few races and has been a lot calmer than the Lewis Hamilton we got used to at Mclaren. His dawdle to victory in Sochi over Nico Rosberg’s hyper-charge through the field to second place means that Nico now trails by 17 points, with only 3 race starts to go, and a maximum of 100 points up for grabs. I’ve mentioned the psychological battle in my last few previews and reports; and made it clear that Lewis has had the upper hand in each case. Despite Lewis’ comfort, it is a possibility that he could get too comfortable. This may be the pendulum swing at Austin. Nico Rosberg has stated in the media that he is relieved that Mercedes are now World Champions and that he will now be looking after his own interests for the rest of the season. Lewis Hamilton on the other hand has posted a video of his snoring dog on Twitter. Proof that Lewis is remaining calm but also Nico can now throw off the weight of thinking about the team. If Nico can channel his aggression usefully, he could surprise Hamilton at Austin. We all want to see a clean race – but should anything occur, this could be the chance Nico Rosberg needs to get one final push for the title. Some writers keep going on about Nico’s failure to out-race Lewis in one on one battles. It isn’t that important. Nico knows he must finish ahead of Lewis and will do anything to obtain this. Now is his time for action. Hamilton on the other hand, knows that he doesn’t need to win, he just has to make sure he either maintains or extends his 17 point lead as much as he can. Looking at the worst case/best case scenario for each driver, it makes better reading for Lewis, although Nico is far from out of the equation. Best case scenario for Lewis Hamilton is the worst for Nico, and the same is true in reverse. A Lewis win and a no point score for Nico leaves the deficit at 42 points. 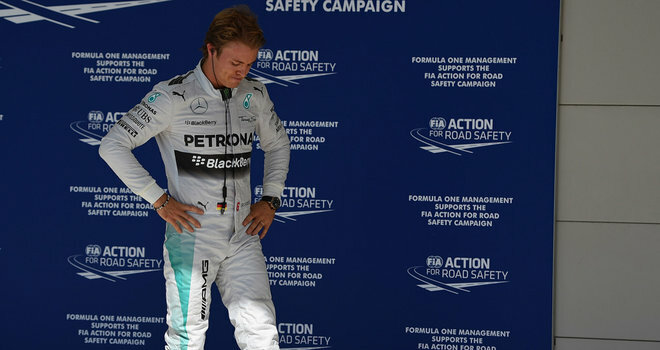 The other way around and Rosberg will lead Hamilton by 8 points going to Interlagos. That’s how quickly things can turn around in F1, which they usually do. I don’t think this title fight will be over without a couple more twists in it yet. Daniel Ricciardo is still mathematically in the fight for the World Championship, and we’ve seen what he can do if he smells the chance of a win. Given an opportunity in Austin folllowing his recent slump, we know that he will take it, often leaving his most aggressive driving until the last few laps. Unless the Australian scores highly in Austin; and both Mercedes fail to maintain their dominance, then he could very well find himself out of the running by Sunday night. Looking at the remaining 16 runners, the momentum is with Williams as the best of the rest, Felipe Massa will be hoping some of Valtteri Bottas’ recent good luck rubs off on him as they try to put some distance between themselves and Ferrari in 4th. With the gap to Red Bull in 2nd up to 126 points, it will take some pretty bad luck on Red Bull’s part for the Martini-liveried cars to turn them over. But with double points available in Abu Dhabi – who knows?! Red Bull’s mid-season surge seems to be fading with each race, but they will do anything they can to gain as much as possible. Ferrari will want to try to catch Williams, but it doesn’t look like they have the car for the fight. Nor do they have the drivers. Kimi just seems to be asleep, (I meant metaphorically, but it is quite possible he also falls asleep at the most inopportune moments) he’s half way down the field all of the time; waiting for the perfect set up. Fernando seems to have let this situation surrounding his future dominate his race weekends, maybe in his mind he’s still unsure on his next move? He has suggested that he knows what he wants to do, so why wait to announce it? Perhaps the driver market has a chain reaction readying itself on Alonso’s announcement? Regardless, he has managed to finish on the podium at Austin in the past; it would be a great relief to see him repeat it again this year. Mclaren have the upper hand in the battle for 5th place at the moment, their impressive placings in Sochi outscoring the Force India pairing by 20 points. Better from them as they enter their last 3 races of their Mercedes partnership. Force India themselves have created speculation over the future of Sergio Perez as they’ve confirmed Nico Hulkenberg for 2015, but nobody else as yet. They should remain in 6th place at least, as Toro Rosso behind them in 7th have only managed 29 points so far, 94 points adrift. Lotus and Sauber will bring up the rear this weekend without the addition of Marussia and Caterham. Could the lack of runners finally provide a chance for Sauber to pick up some points? I wouldn’t bet on it, with all due respect to them only their weaker competitors will have gone, the leap to the top ten is likely to still be too much for the Swiss based team, despite their 6th place finish here last year. Lotus will want to not finish last of the 18 runners, but they must have faith in their development for next year as Romain Grosjean, who finished an impressive 2nd at Austin last time out has already kept his seat. The one thing I am unsure of how things will change is with qualifying. Q1 normally separates runners 17 – 22 but with 18 cars it won’t be worth dropping only 2 cars out for one session. The front runners especially will only do one fast run and it will be a backward step with no action for 10 minutes. Whether they cut it to 2 sessions and drop 8 out in the first or re-arrange the numbers to run 3 sessions remains to be seen. Either way, it’s another off-track twist and turn that detracts from the twists and turns we’ll see on the track. 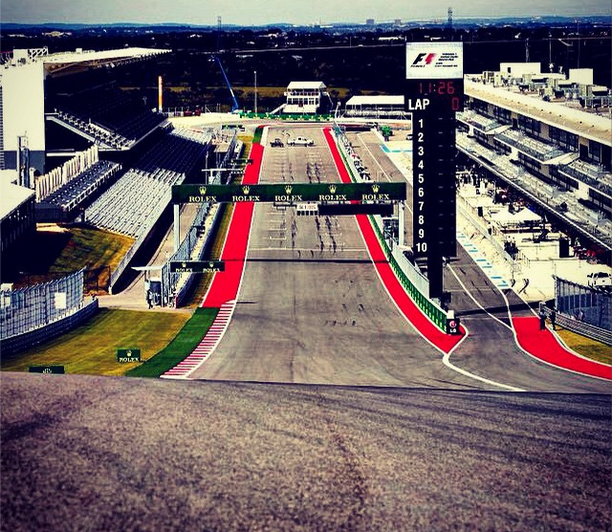 Whilst the race in Russia was nothing to write home about, it certainly is true that everything is bigger in Texas. Why would the drama in F1 be any different?